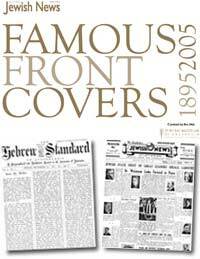 Looking for an item you've seen many years ago on Jewish Australia? Try here. "The Seven Days of Creation"
Applications are now being accepted for our 9 week summer camp programme in the U.S. Places are available in over 100 different sport and activity areas. Jewish Camp Directors love hiring Aussie staff! Applicants need to be at least 18 by June 1, able to depart during the month of June 2006 for a minimum of 9 weeks, have no criminal record, be calm, energetic, and flexible and have a genuine desire to work with kids. As a counsellor to American youngsters, you'll be employed to teach them new skills, share experiences and cultures as well as providing overall supervision. In other words, you'll be a 'brother, sister, mentor, supervisor' all rolled into one. So get ready for an incredible American summer. Applications are accepted until April 1 2006. SBS Radio: Efraim Halevi English interview program, interwoven with some lovely Sukkot songs. Efraim Halevi has held various senior security posts in Israel among them the chief of the Mossad intelligence agency and Head of the National Security Council but he disagrees with the policies of the current government including its platform for peace the "Road Map"
On July 4 1006 The Jewish Agency for Israel held a worldwide videoconferencing event to mark 30 years since Mivtza Yonatan, the Entebbe Rescue. See the song that was written in tribute: "Eretz Tzvi"
JYM's "Little Shop of Horrors"
"I just came back from Auschwitz"
The exhibition will be travelling. Is your favourite book on the list? Israel coach voted European Sportswomen of the Year by the IOC. Australian Government's travel advisory and consular assistance service. New website - in Hebrew and English - for Israelis and Jews planning to visit Australia. From the web to the stage! Dudu Fisher - the "Jewish Jean Val Jean"
Israeli poet Natan Yonatan died in March 2004 at the age of 81. He weaved together themes of nature, love and war. Israeli circus school brings Muslims, Druze, Christian and Jewish children together. The end of an era at the State Zionist Council of Victoria. "Hannukah is an eight-day Jewish feast where families get together to play traditional games, eat chocolate money, light a Chanukah candle each night and feast on luscious jam donuts and latkes (potato pancakes). Maeve joins a Perth family as they celebrate one of the fun events in the Jewish calendar." "A cast of quirky characters each with a deadly accurate wit, make this show one to see." Review of "The Bus Driver who wanted to be God and other stories"
in identifying victims of the September 11th terrorist attack in New York. "Israeli artists converge on Canberra "
Israeli pop group with a funky Yemenite twist, incorporating rhythmical drumming and earthy beats. Click here to preview their biggest hit "Yachad"
If you know anyone Jewish who lives in rural Australia, please let them know. North Star, Toowoomba just to name a few. of as many Jewish people living in the RARA areas as possible. The 1996 census revealed there were approximately 3,500 people in RARA. Their research reveals the real number is probably double. For example the 1996 census shows no Jews living in Griffiths. Their research has found approx. 25 to date. linking young Jewish women with breast cancer. the trumpet and the shofar. The American Jewish Committee's "must-read" guide to the issues.